I’m acutely aware that we’ve discussed a great deal here with lots of considerations and not so many concrete answers. At the very least, now you should be a little more equipped to walk into a bike shop and be able to tell the sales person or proprietor what the bike you buy needs to be good at. If at this point you seriously want to buy a bike but you still feel intimidated at all the considerations and decisions, than it might be worth visiting John’s Bikes or just perhaps dropping John an email. John stocks a wide range of bikes. 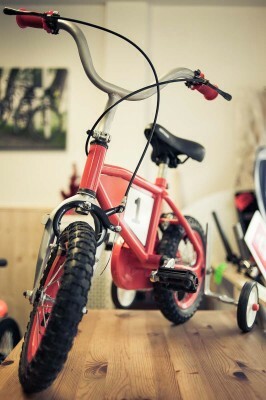 Including bikes for little people too! If you are eager to read more, there are many guides to cycling published on-line and many books to browse on Amazon. For a brief description of the most common different types of bike available, have a look at the bike range page which gives a brief description of each.